With this easy Egg carton craft project you can give the kids a great example and show them how fun and cool recycling could be. This colorful gift box is a cute DIY idea for school kids that love to paint and glue all kind of things. You just have to provide them with the needed materials. 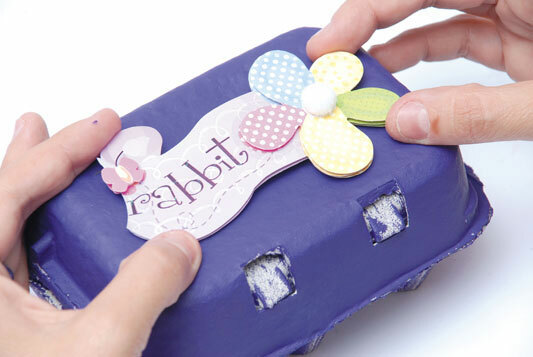 Materials: 3d stickers with Easter motifs, an egg carton, white glue, pink and violet paper, Easter bunny paper punch, a paint brush, acrylic paint in dark violet, glitter gel and paint pens in various colors like baby blue, magenta, pink and green, blown-out eggs. 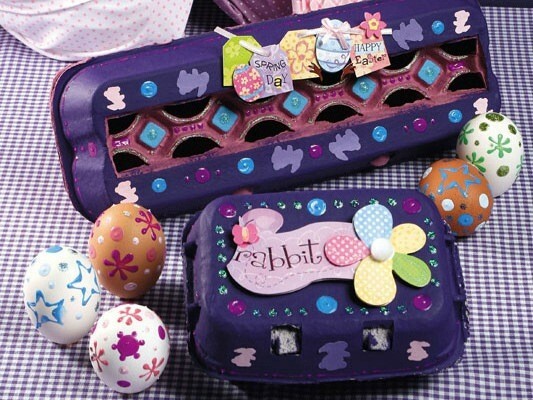 Actually, everything that you can find in the craft store for decorating the egg carton. 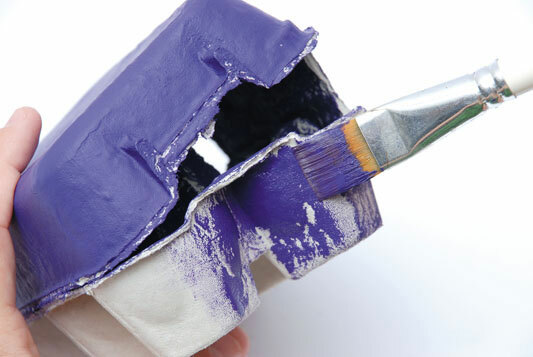 With the paint brush, apply a coat of dark violet acrylic paint on the egg carton box. 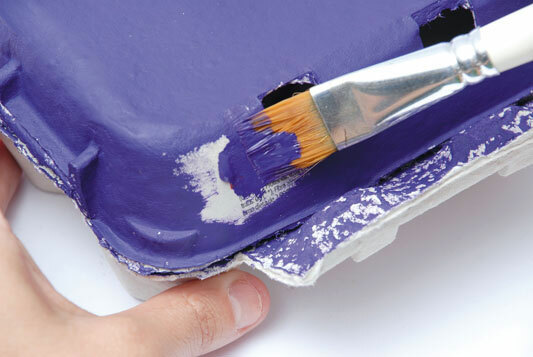 At the bottom of the box, you can make an interesting effect with the same brush and dark violet paint without covering the entire surface. Just with a few light strokes. 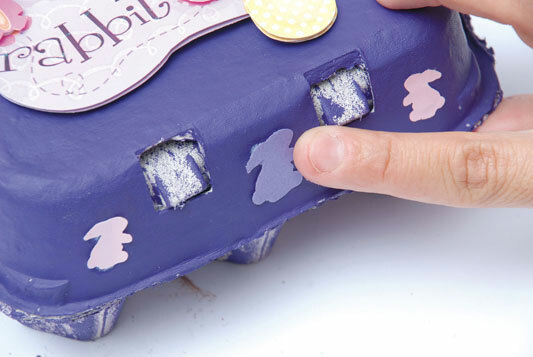 Begin decorating the box by gluing a big Easter-themed sticker on the box cover. 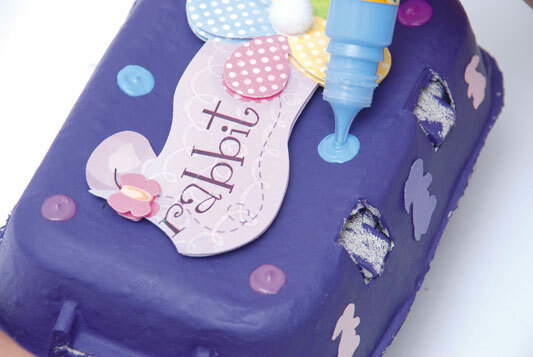 Use an Easter bunny punch to make pink and violet paper bunnies. 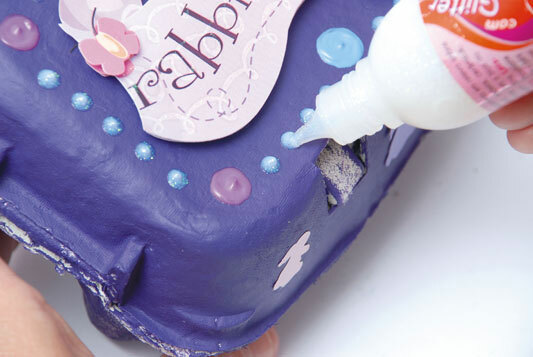 Apply a small amount of white glue on the bunnies and fix them on the egg carton. 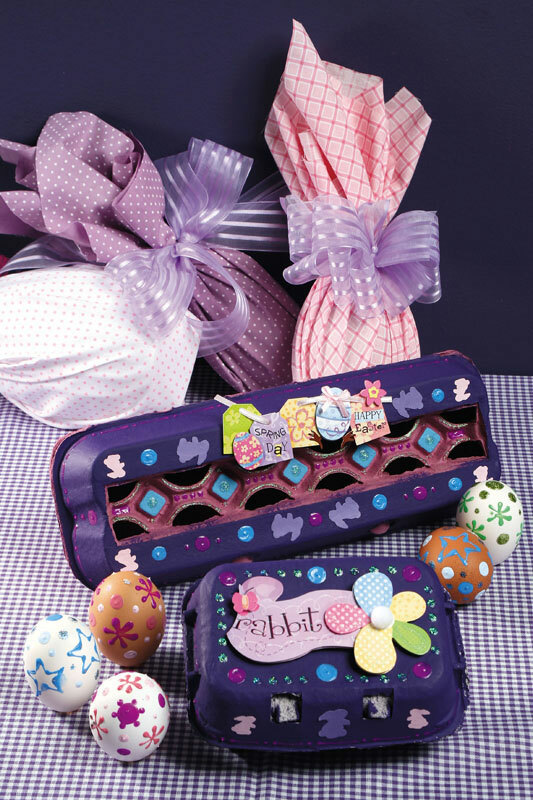 Use the decorating pens and gels to embellish our Easter gift box. 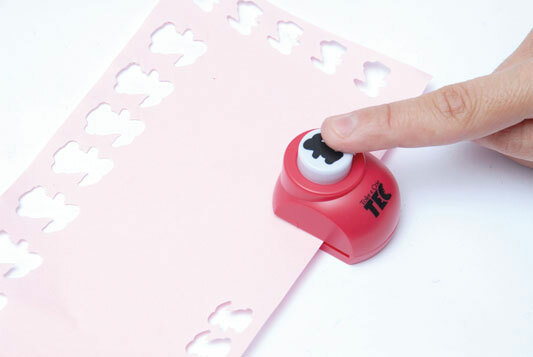 Make dots and lines in different colors. 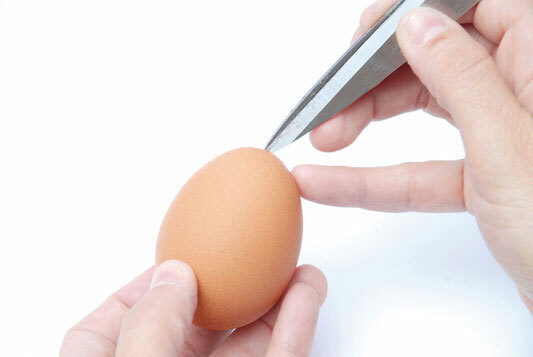 With scissors, break carefully an egg on one end. 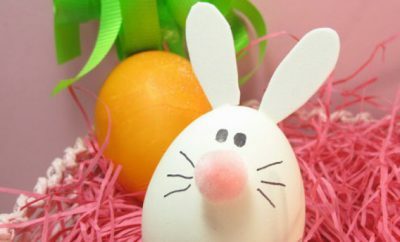 Pour the contents into a container and wash the inside of the egg with water and soap, as often as necessary to remove the smell. If you prefer, use alcohol to clean it. 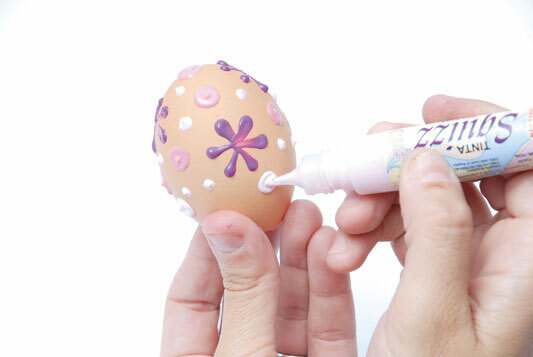 Use different colors of paint to decorate the egg shell. 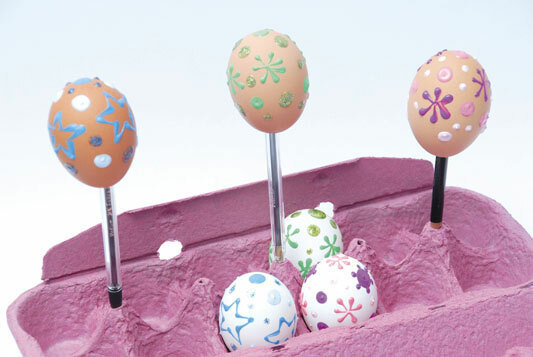 Attach the eggs on a pen or a knitting needle and let them dry.